Fun Junction USA, formerly known as Dixieland Fun Park, is a family-friendly amusement park and arcade in Fayetteville, Georgia. The park offers a wide variety of indoor and outdoor rides and attractions for visitors of all ages at prices that won't break the bank. Located less than 30 minutes south of downtown Atlanta, Dixieland Fun Park opened in Fayetteville in 1990 and, according to UltimateRollercoaster.com, has since has become one of the largest amusement parks in the state of Georgia. Explore Georgia, the state's official tourism and travel site, calls Fun Junction USA "south Atlanta's largest family entertainment center." In 2012, the owners changed the name of the park from Dixieland Fun Park to Fun Junction USA and brought in a new management team as part of a larger revitalization effort. At that time, the park also eliminated its admission price in favor of a ticket-based pricing structure and added new items to its snack bar menu. Additional renovation projects and several new attractions are planned for the future. At Fun Junction USA, visitors can enjoy more than two dozen indoor and outdoor rides and attractions, including bumper boats, laser tag, three 18-hole miniature golf courses, and an indoor children's playground with tunnels, ball pits, and slides. 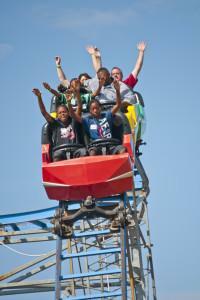 Thrill seekers will enjoy the park's roller coasters and other thrill rides. Popular options include. Fun Junction USA also boasts two Grand Prix-style go-kart racetracks. Participants must be 56 inches tall to take advantage of the main Road Course track, but children 50 inches and taller can drive their own go-kart on the Junior Track, and children 36 inches and taller can ride with a parent. Despite being unable to have full run of the go-kart tracks, Function Junction USA offers plenty of rides and attractions to keep little ones entertained. TripAdvisor reviewers compliment the park on having plenty of rides and attractions for young children. The park has an indoor Playmaze playground that is open to kids 44 inches and shorter. There are a number of classic 'kiddie rides' for children between 31 inches and 43 inches tall, including Jeep rides, trains, and a miniature carousel. Fun Junction USA also has a Ferris wheel for children between 31 inches and 40 inches. Hours: Hours and days of operation vary by season. The park is open Wednesday through Sunday in the summer, Saturday and Sunday in the fall, and select dates in the winter and spring. For the most recent information on hours and days of operation, consult Fun Junction USA's online calendar. Pricing: Fun Junction USA's ticket-based pricing structure allows visitors to pay only for the rides and activities they do. Tickets cost $1 each, with rides and attractions requiring two to eight tickets each. 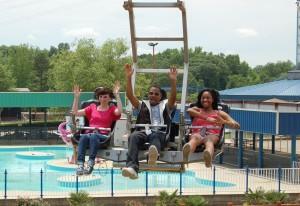 Fun Junction USA also offers discount ticket packages, such as 50 tickets for $40 or 100 tickets for $75. Parking: The park charges a $5 per vehicle parking fee. Visitors who park in the Fun Junction USA parking lot receive five free tickets. 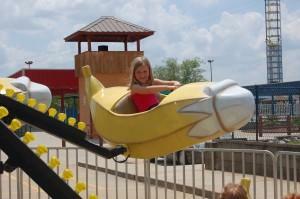 Safety: Fun Junction USA focuses on providing a safe and enjoyable experience for families. On TripAdvisor, one mother praised Fun Junction USA for its staff's quick response in treating a wasp sting. Alcohol, tobacco products, and weapons of all kinds are not allowed on the premises, and foul language and unruly behavior will not be tolerated. Smoking is only permitted in the parking area. Weather: Fun Junction USA does not provide refunds in the event that the park - or some of its outdoor rides and attractions - closes due to inclement weather. The park encourages visitors to consult the forecast before their visit and, in the event of bad weather, wait out the storm while enjoying the indoor attractions. Fun Junction USA isn't just a great place for a family outing - the park also offers a lakeside pavilion, banquet room, and private party rooms for birthday parties and other special events. One Yelp reviewer raved about the low-cost birthday party packages on offer, while other reviewers praised the park's selection of indoor attractions and activities. Whatever the occasion, Fun Junction USA is sure to provide a fun-filled experience for everyone in the party.